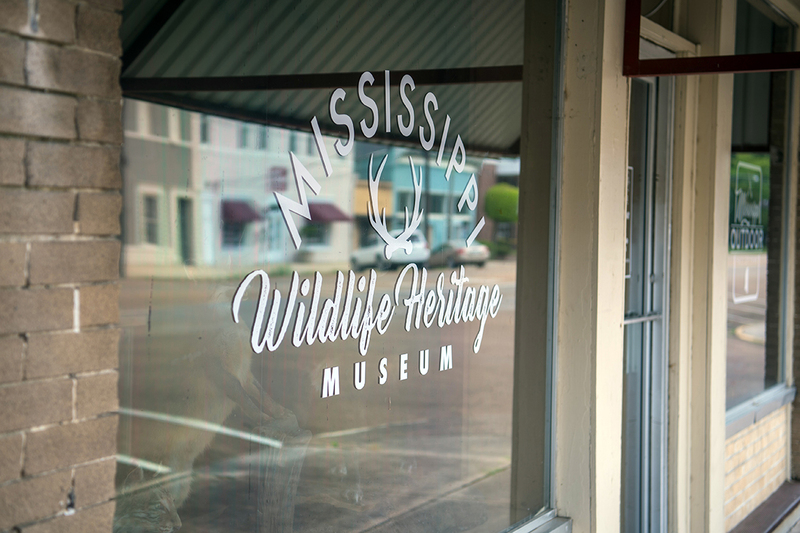 Watch Our Awesome Mississippi Wildlife Heritage Museum Video! 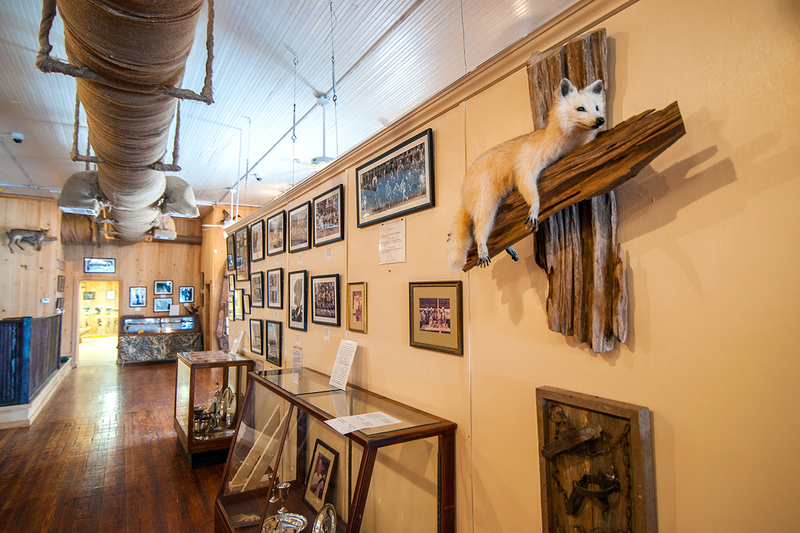 Last week’s Delta Coterie Christmas Party was a big success, bringing nearly 75 visitors to the Wildlife Heritage Museum who had not been here before. Most were excited and enthusiastic at seeing the many exhibits and history, and promised to come back during the Christmas holidays, bringing their children and grandchildren for lengthy visits. 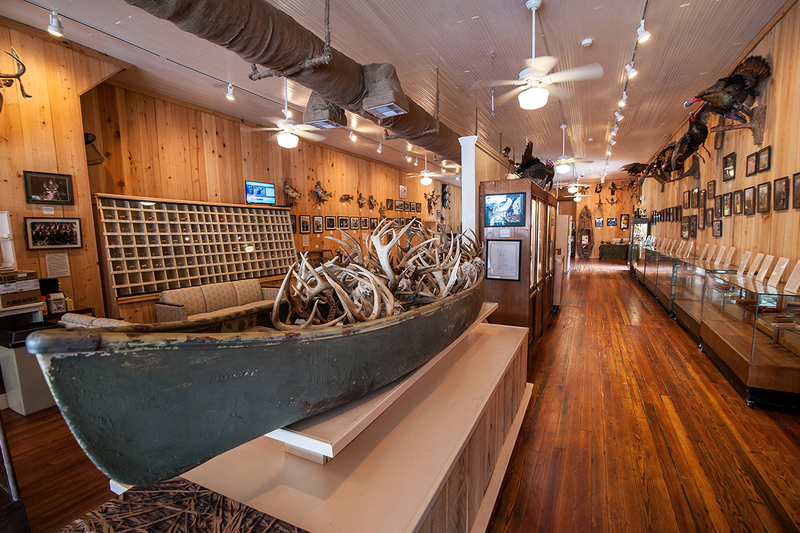 If your organization would like to have a reception, etc at the Mississippi Wildlife Heritage Museum, call M-F 10-5 @ 662-686-7085, or Gaila Oliver, Sec/Treas, @ 662-820-9555 to scout and book a visit. LET US TAKE THIS OPPORTUNITY TO WISH ALL Y’ALL A MERRY CHRISTMAS!!!! Speaking of which, Leland Author PAUL ABRAHAM will be at the Museum on Tuesday, Dec. 12, to sign copies of his first book, THE GOSPEL ACCORDING TO ABRAHAM. You have friends and family who need this book for Christmas! 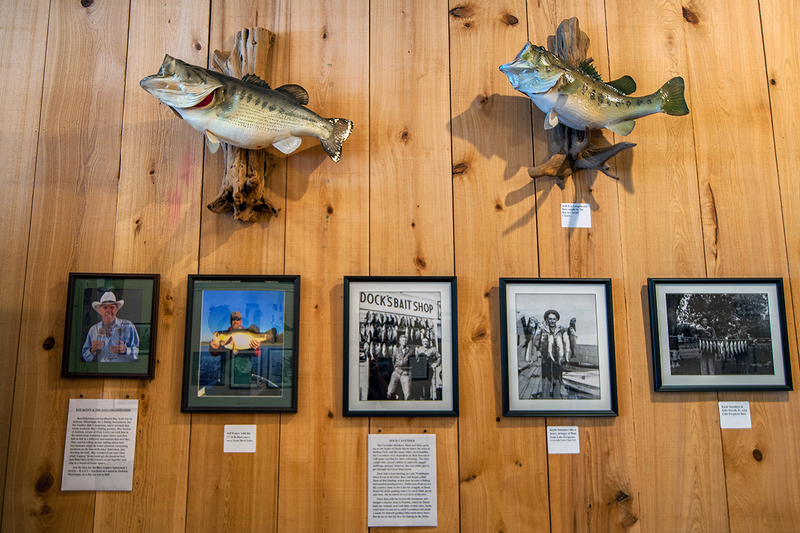 Also available at the Museum Gift Shop this Christmas are books by Outdoor Authors and Lelanders ROBERT HITT NEILL, BILLY JOHNSON, JIM McCAFFERTY, and former Mayor Perrin Grissom plus Mississippians BILLY JOE CROSS, CARROLL LEATHERMAN, BRUCE BRADY, MINOR BUCHANAN, & MIKE McCALL. Shop with us at the Museum! Both Special Events this past week were well-attended and well-received! 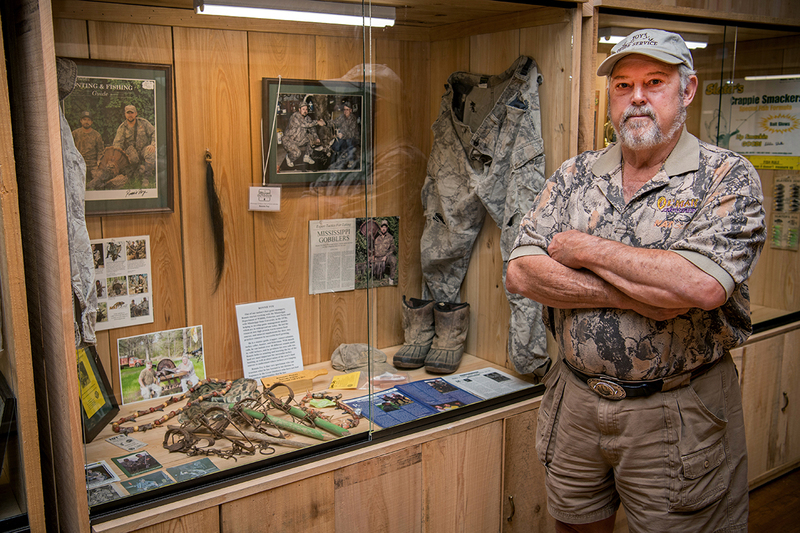 Folks from as far south as Brookhaven and as far north as Memphis came to THE Mississippi Wildlife Heritage Museum for good times with good friends and learned even more about our Wildlife Heritage, in Holt Collier and Ducks Unlimited. 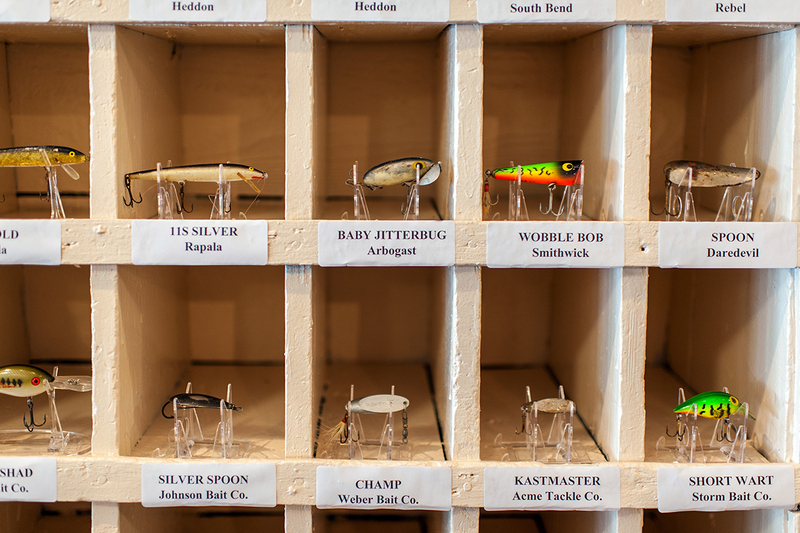 Then today (Thur, 9/21) the wives — a whole school (to stay in context) of good-looking ladies — of fishermen engaged in a Crappie Masters Tournament were guests of the Leland Wildlife Museum, then journeyed to the other Leland Museums — Highway 61 Blues & Jim Henson — as well as to several downtown stores. 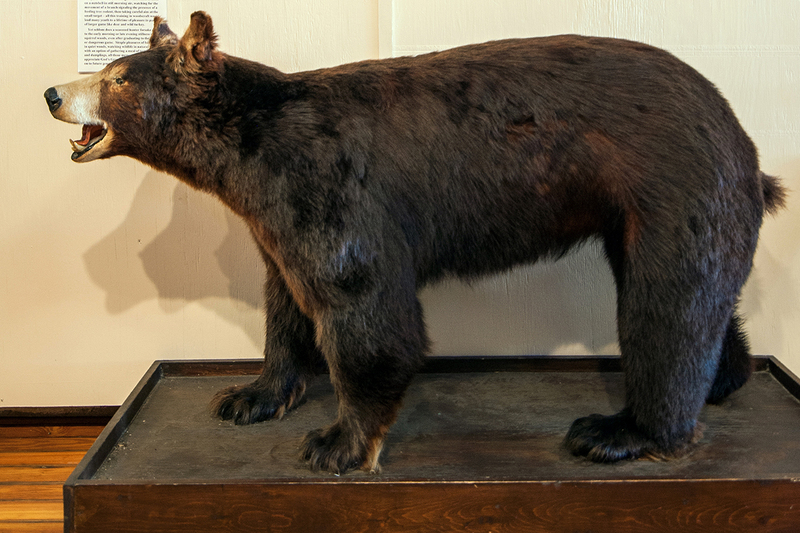 We would welcome, now that school has started, tours of the Wildlife Museum by school children — just call ahead and schedule the visits (children must be accompanied by responsible (!) adults. 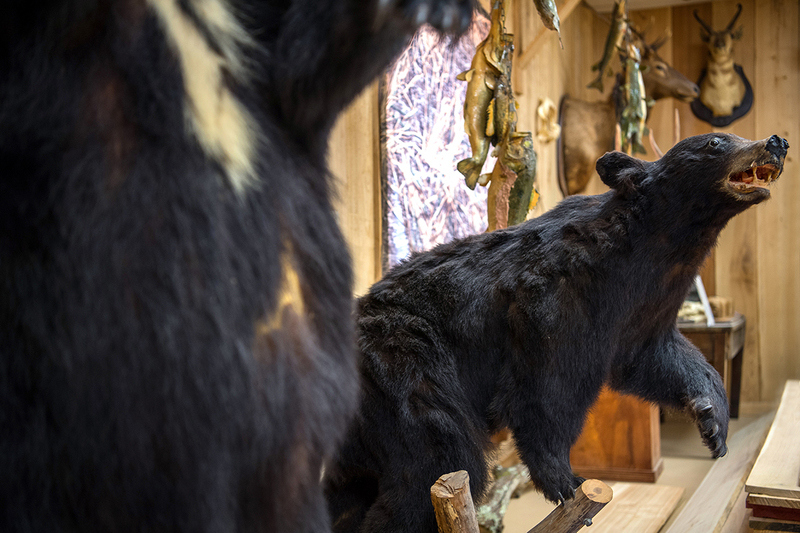 Come to downtown Leland for a great time — but please don’t pet our bears! See y’all at the Museum! 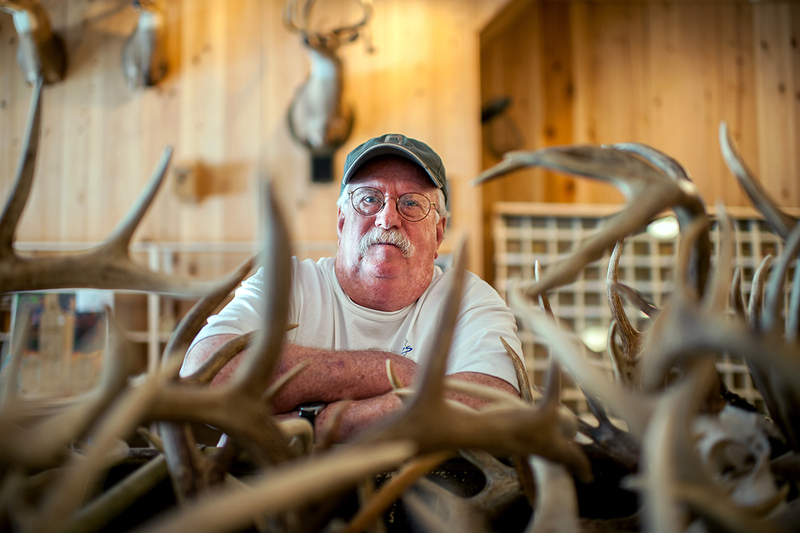 HOLT COLLIER, HIS ROOSEVELT HUNTS AND THE ORIGIN OF THE TEDDY BEAR, on Friday evening, September 15th, 6 to 8 P.M. Reception with hors d’oeuvres, wince, & punch, at 302 N. Broad St, Leland. Come and enjoy an Evening With Holt Collier! 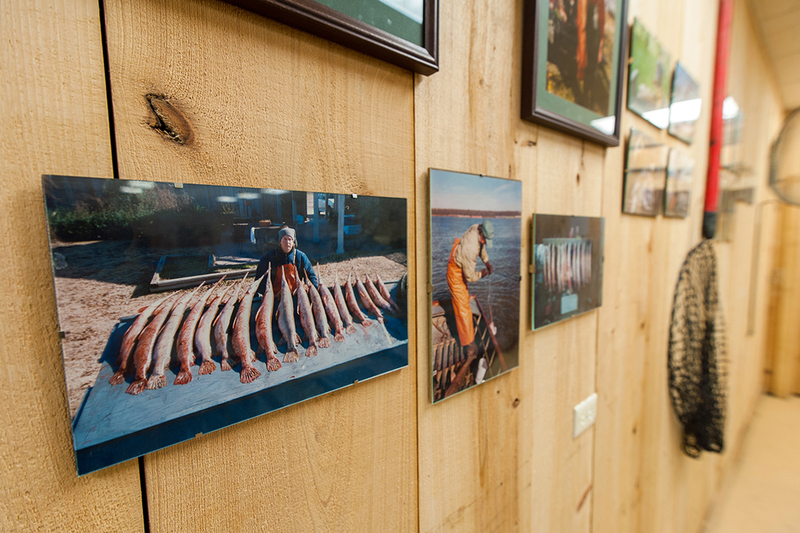 Tuesday the 19th, the Museum will host a Ducks Unlimited Reception, tickets for which are available at the Museum. Come on by, but plan to spend at least an hour or so, to see all the exhibits. Hours are 10 to 5, M-Sat. We just bought another sign-in book for the Museum, for the first one is almost full. At a Bored meeting two weeks ago, I had gone through the book for my Secretary/Treasurer’s Report, and counted 984 people who had signed in since the June 2nd/3rd Grand Opening, from 20 states and 4 foreign countries! Just this week, we’ve had visitors from Switzerland, Italy, New Zealand, and Australia. 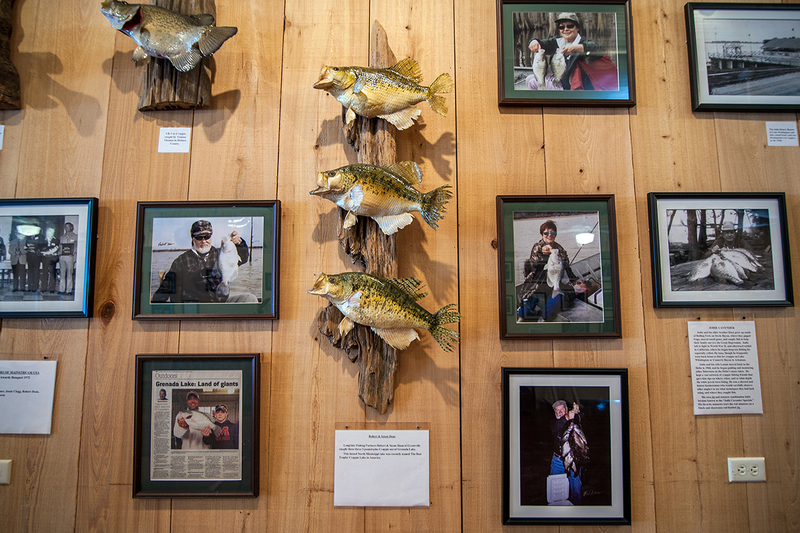 Come on over and share our Outdoor Heritage! 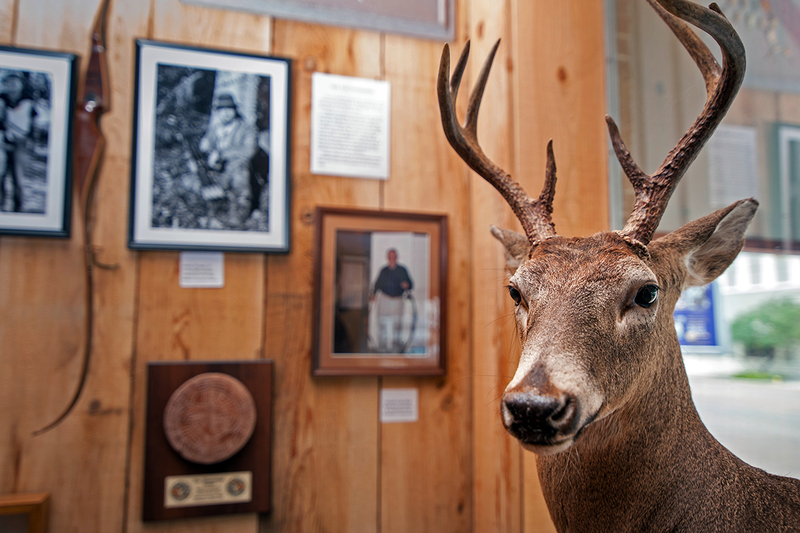 There are two major events scheduled for the Mississippi Wildlife Heritage Museum in September. On Friday the 15th, author Minor Buchcanan will have a book-signing here, after a talk at the Rotary Club at noon. 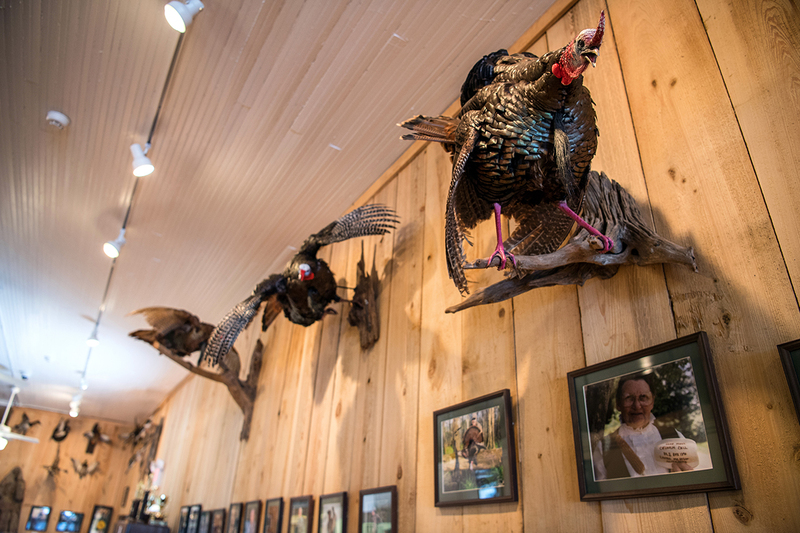 And on Tuesday the 19th, the Museum will host a Ducks Unlimited Reception, tickets for which are available at the Museum. Come on by, but plan to spend at least an hour or so, to see all the exhibits. Hours are 10 to 5, M-Sat. Since the June 2nd & 3rd Grand Opening, with over 1000 folks in attendance, we’ve averaged 15 to 25 visitors to the Museum each day (M-Sat, 10 to 5). Last week a lady from south Kentucky dropped by for the tour, and she had over each shoulder a purse, one small, one bigger and bulkier. I offered to tote the big one, but she said it wasn’t heavy and declined. After her tour, however, she decided to visit the Gift Shop (T-shirts, calls, books, etc) and picked some of the books, to be signed by the author present. 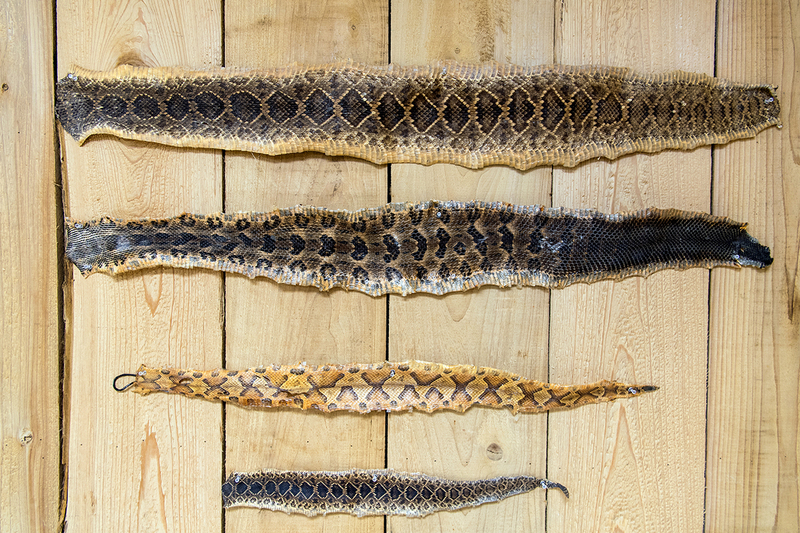 When she stepped up to the counter to pay, she set the larger purse on the window seat, right between two mounted predators — a gray fox and a bobcat. The signing author messed up his signature when suddenly a loud growl, then a chorus of excited — nay, even frightened! — barks suddenly emanated from the bulky purse!! The Kentucky lady whirled around to open the purse, which contained not one, but two, little bitty dogs — Pomeranians, maybe? not Labs or Beagles — who had not uttered a peep during their tour of the Museum, until being abandoned by their mistress to be possible suppers for two much bigger animals! The lady, actually a judge at home, hushed the pups quickly by moving their disguised cage to a safer place, but we both then wondered: 1) had some long-suppressed instinct aroused the little canines to their perceived danger, or 2) was there still some cat or fox odor attached to the long-mounted bodies that triggered the danger signals to the dogs? 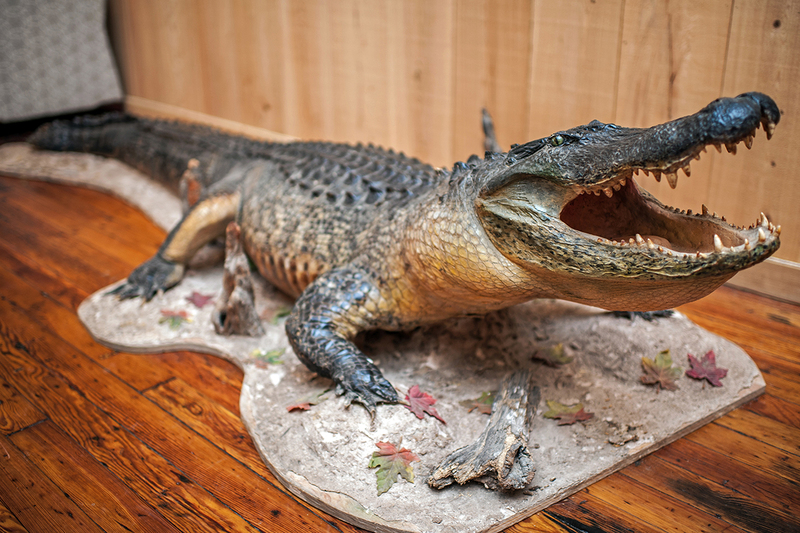 Whatever, the little ones were glad to leave the Mississippi Wildlife Heritage Museum unscathed that day! 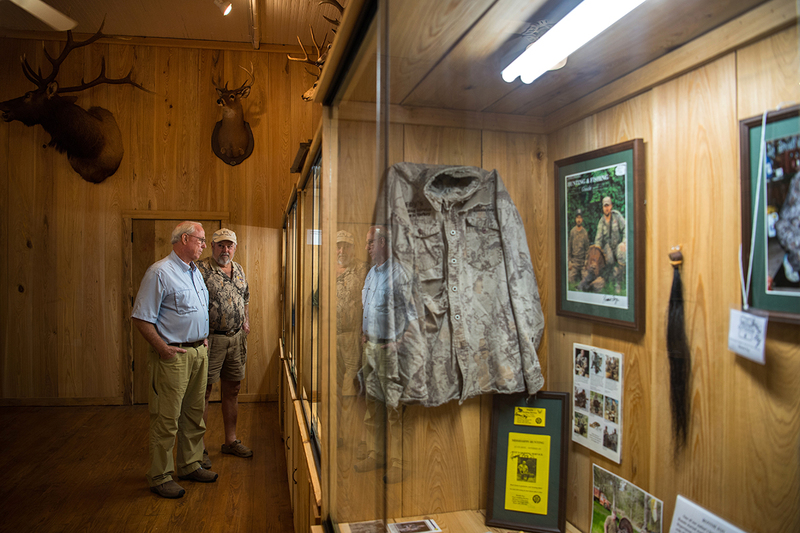 Saturday, July 15th, saw the new Mississippi Wildlife Heritage Museum filled up again, as we held a special Reception for Melvin Tingle, who was being inducted into the Mississippi Outdoor Hall of Fame. 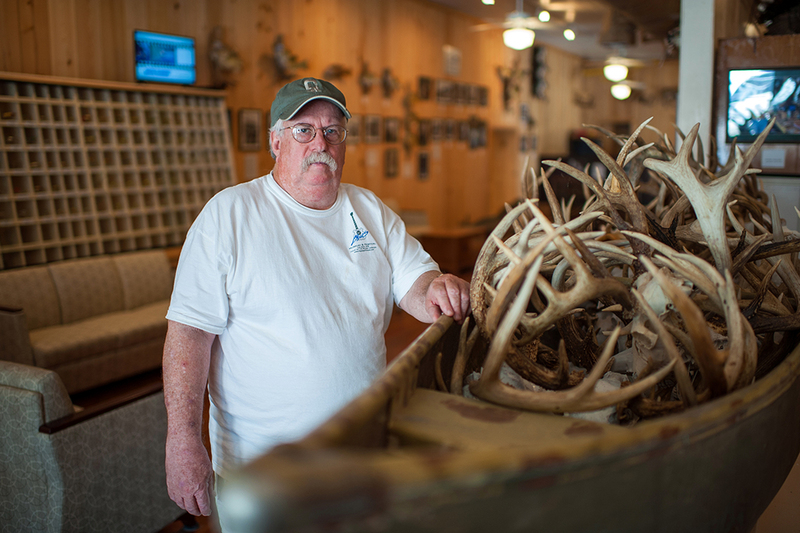 At least 150 people gathered to honor the long-time Outdoor Television Show Host, as MWHM President Billy Johnson presented Mr. Tingle with his plaque and unveiled his Hall of Fame Showcase. 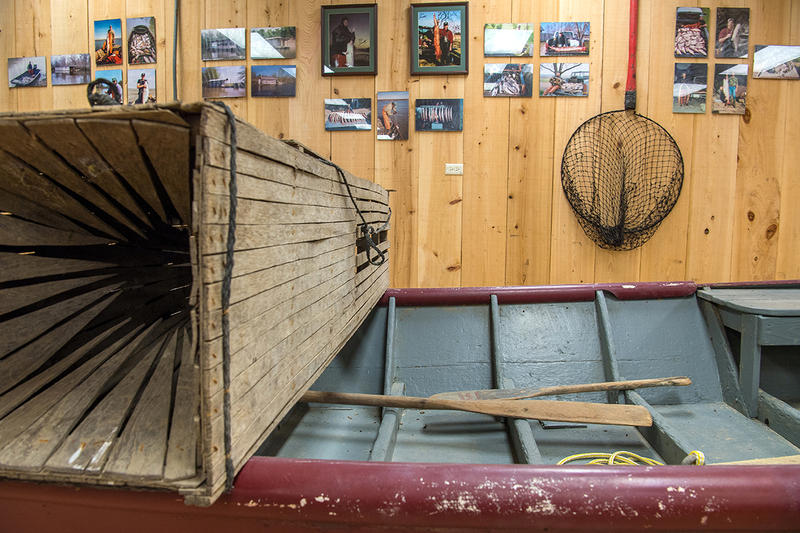 Additional items and artifacts are coming in daily for display, from sportsmen and women, or their descendants who have been moved to honor this new Museum with the things that have made God’s Great Outdoors such a wonderful part of their own upbringing. Their stories, perhaps over a cup of coffee on the camo sofas, bring laughter, joy, and tears, when those memories are re-lived. Plan that trip to the Museum today! By the way: Admission is $10, or $7 for Seniors (over 60) and those in groups of at least five. Kids under 16 are free, accompanied by adults. 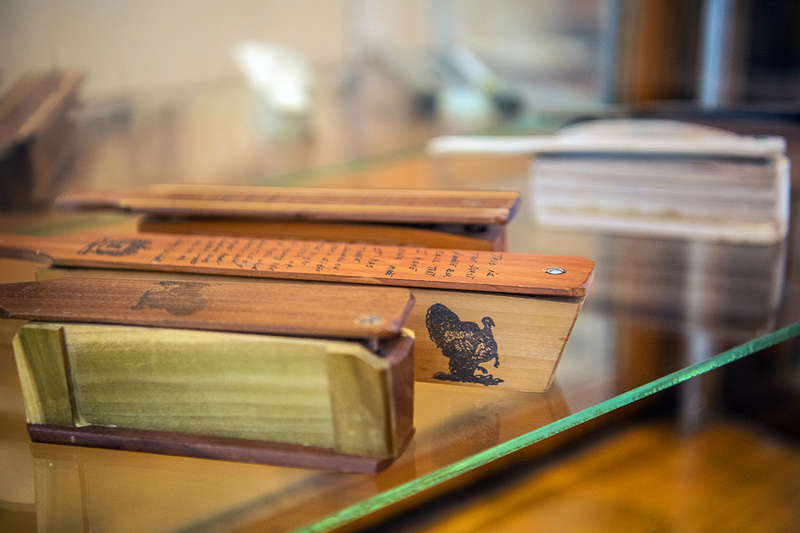 Check out our Memberships Page, and become a Friend of the Wildlife Heritage Museum, to ensure free entrance wherever you’d like to visit. Y’all come — to Leland, for the ultimate Wildlife Experience! Hope y’all had a Happy Fourth of July!! 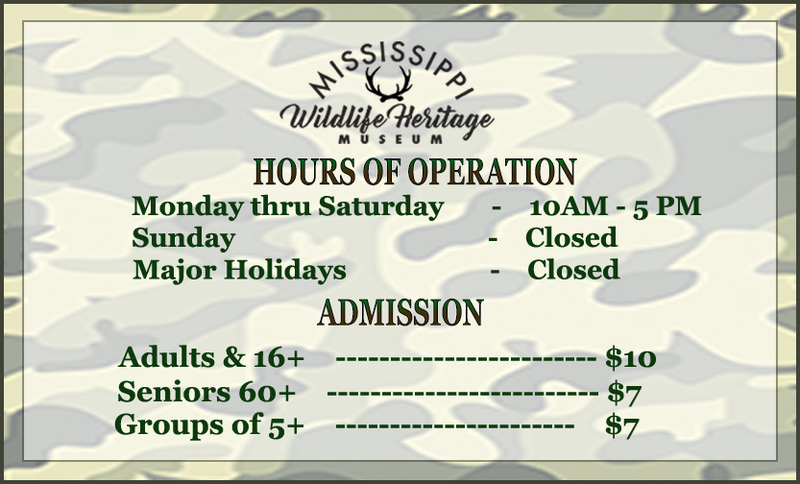 Here at the Mississippi Wildlife Heritage Museum in Leland, we took that day off from our first month of being open at the Museum, during which we have averaged about 15 guests a day who have come to see the trophies, pictures, exhibits, and all the wonderful outdoor accouterments which are displayed within this almost 15,000 sq. ft. Museum. 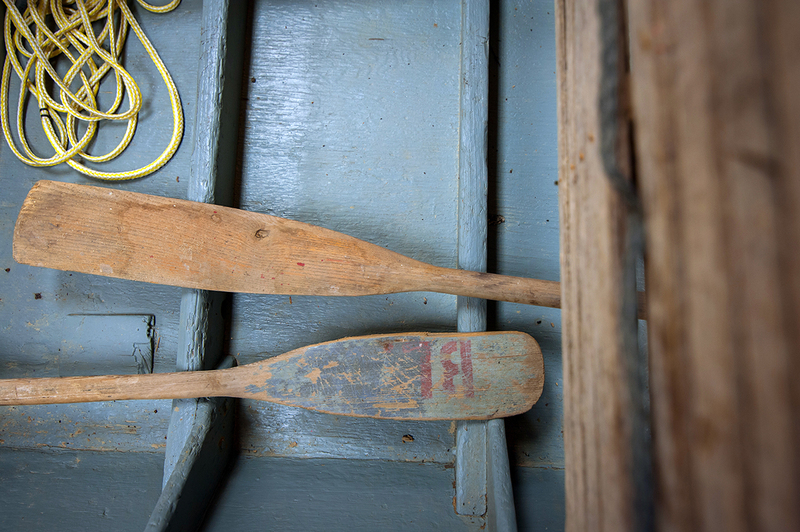 Hot coffee is brewed each morning, and some guests prefer lounging on the sofas after completing their tour, to hear stories and tales by some of the older sportsmen attracted by the strong beverage each morning. 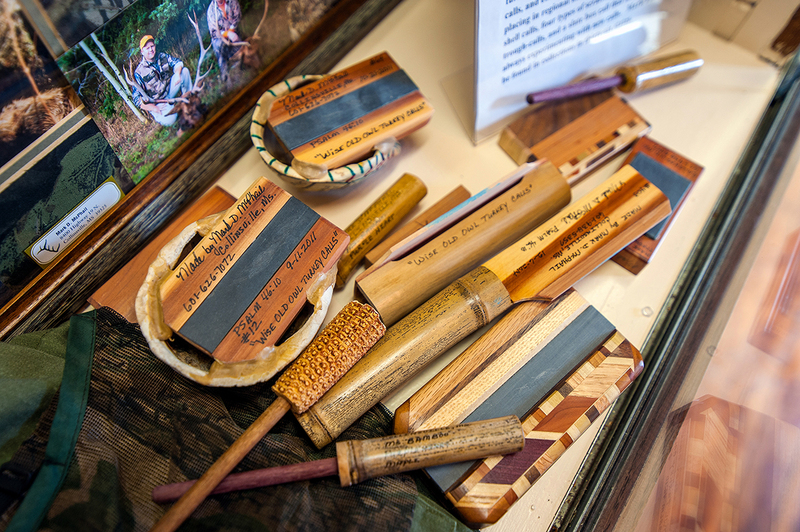 Veracity is not necessarily required, nor appreciated, by these dispensers of Outdoor Wisdom! 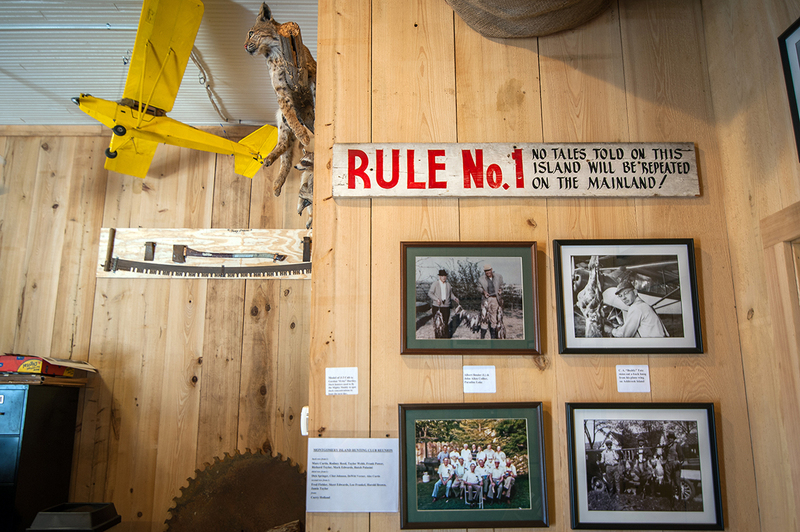 Take a day off from your normal routine and drive up to Leland to check out our state’s newest Museum! 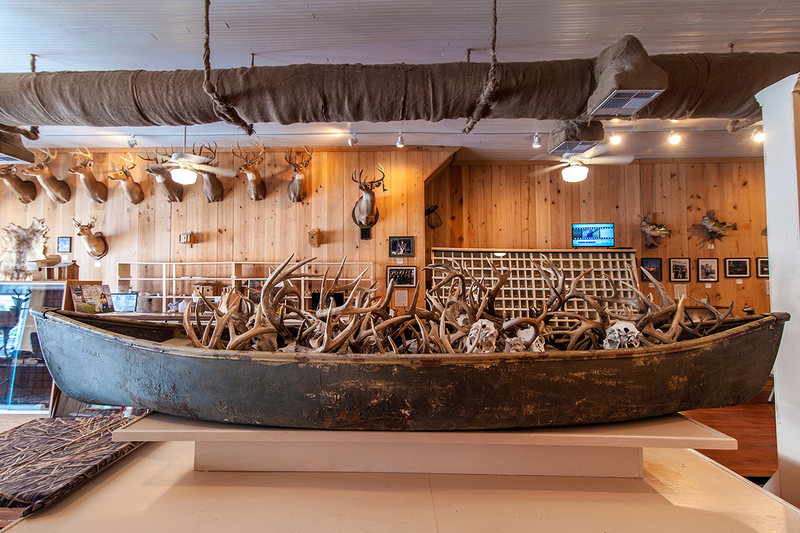 Over a thousand guests poured through the new Mississippi Wildlife Heritage Museum at the Grand Opening on Friday, June 2nd, and Saturday, June 3rd!!! 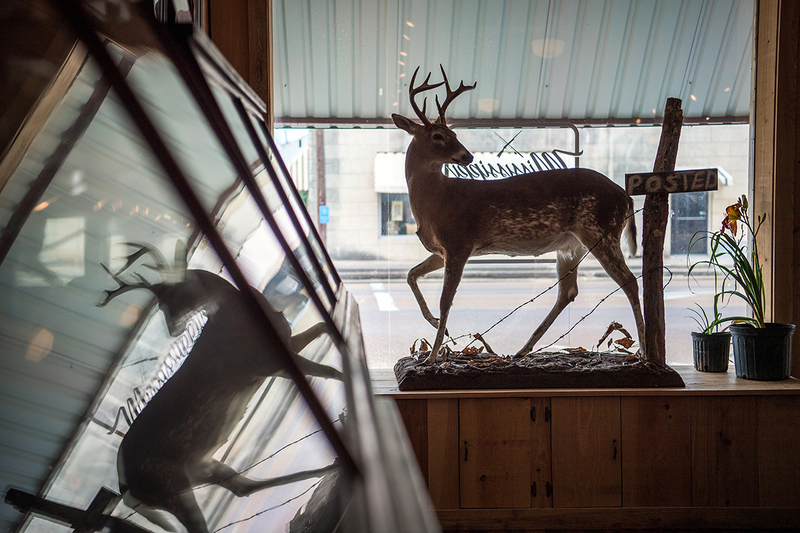 Outdoor Industry heavyweights, Hunters, Fishermen, Outdoorsmen & Outdoorswomen with their Outdoorskids, the curious, the passers-by, and the hungry who smelled catfish frying as they headed out after work… these and many more entered the doors of the old Joe Turner Hardware Store at the main intersection in Leland, Mississippi, to see that elderly dark & dingy building turned into a bright new world of almost every joy the Great Outdoors has to offer. 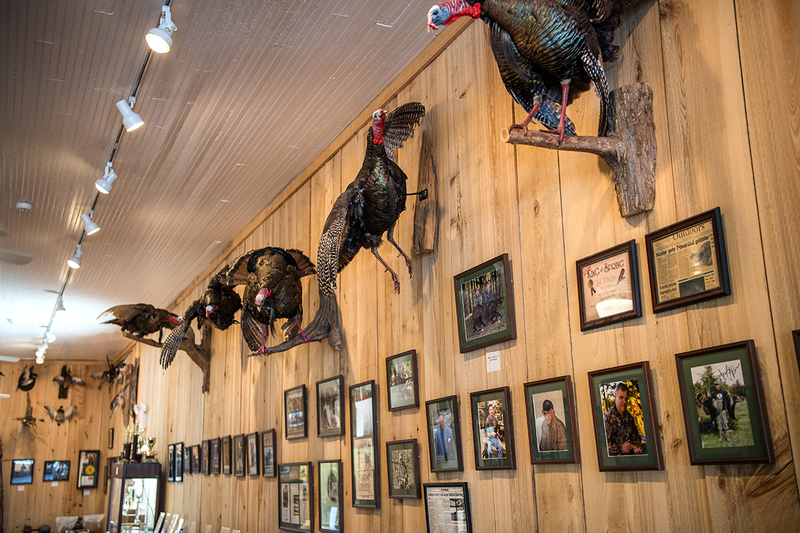 The Mississippi Outdoor Hall of Fame formally inducted the seventeen members who have so far been voted in — from former slave and bear hunter Holt Collier, born in 1846 to today’s Mississippi films/camo/calls Kings trio of Toxey Haas, Ronnie “Cuz” Strickland, and Will Primos — with appropriate and deserved praise and even a little preaching! “God’s Great Outdoors” was the theme of several honoree’s remarks. 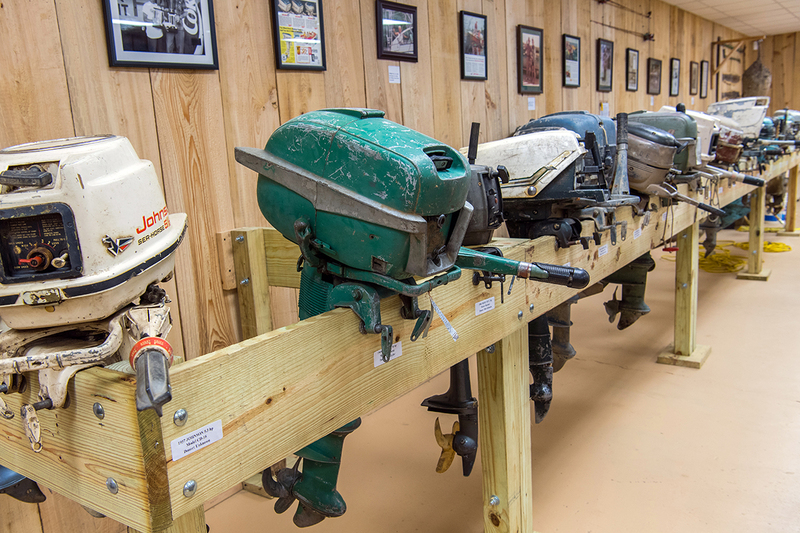 The Museum will now be open M-F 10A to 5P, with special openings on request (662-686-7085) if one calls during business hours to arrange viewings. If that number is busy, try President Billy Johnson (662-347-4223) or Sec/Treas Gaila Oliver (662-820-9555), again, during business hours. Admission is $10 for adults, children under 16 free (accompanied by adults), with special discounts for Seniors (60+) @ $7, and Groups (5+) @ &7. Bring the family and spend the day. 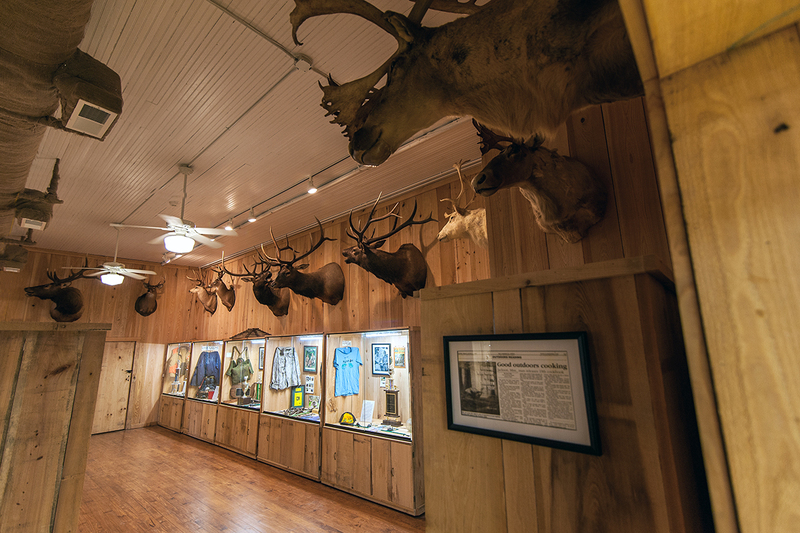 Leland’s newest pending Museum, the MS Wildlife Heritage Museum in the old Joe Turner Hardware Store building has been completely renovated. 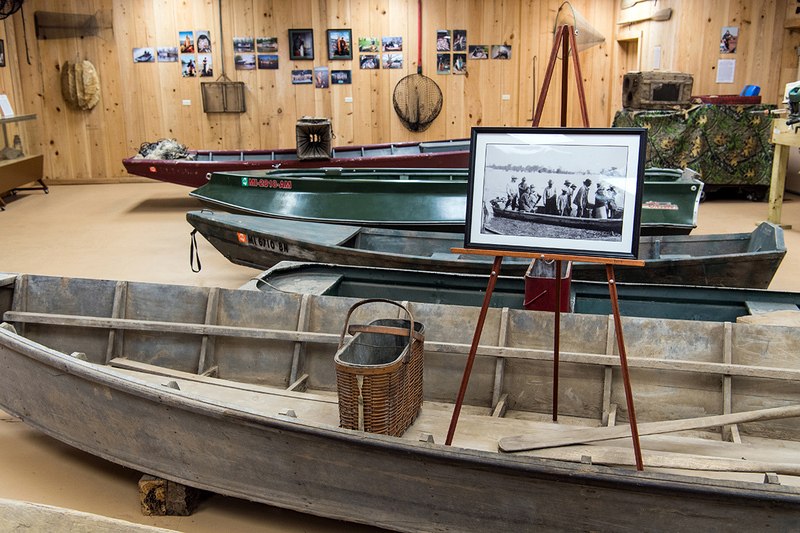 On April 21st, 2017, which is the 90th Anniversary of the Great Mississippi River Flood of 1927, the Museum hosted a Great Flood Exhibit with photos and items, to commemorate this greatest natural disaster in American history. A Reception with heavy hors d’oeuvres and drinks was held from 5:30 to 7:30, featuring an address by Peter Nimrod, Chief Levee Board Engineer. 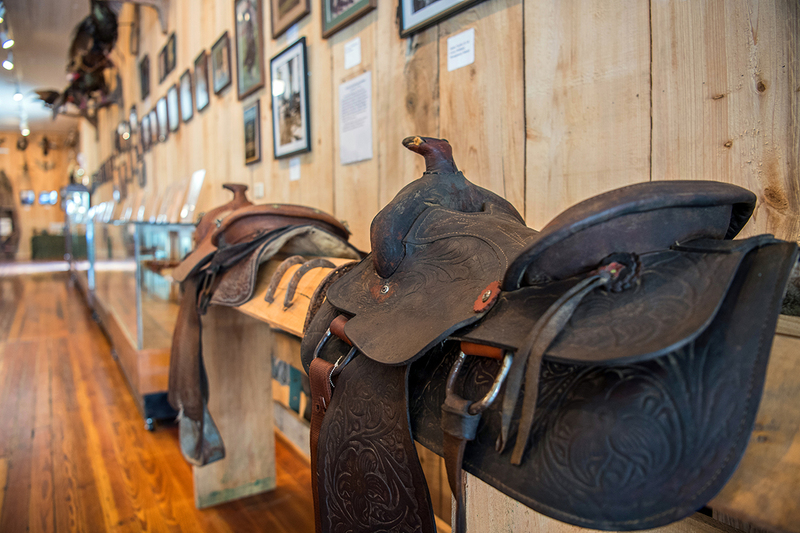 The Exhibit will be open for a month, and will open on request between 10A & 4P M-F, with special opening requests arranged by calling Billy Johnson President, (662-347-4223), or Gaila Oliver Secretary/Treasurer, (662-820-9555). 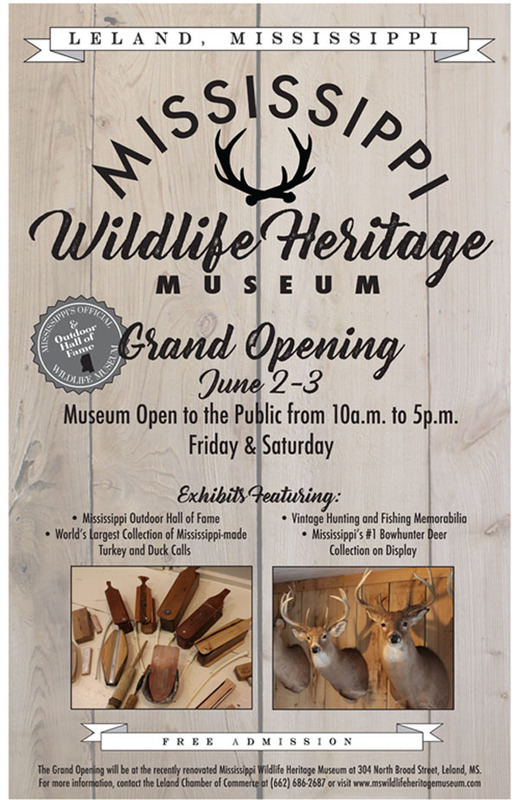 Grand Opening for the Mississippi Wildlife Heritage Museum is scheduled for Friday, June 2nd and Saturday, June 3rd, 2017. 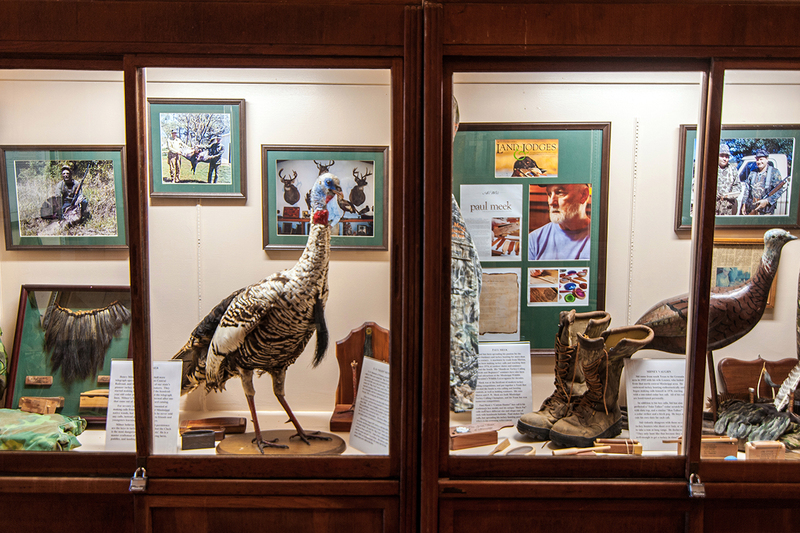 The MWHM hosted the Smithsonian Institution’s Hometown Teams Traveling Exhibit during the month of September, with nearly 200 people viewing the Exhibit as well as the newly renovated Museum. 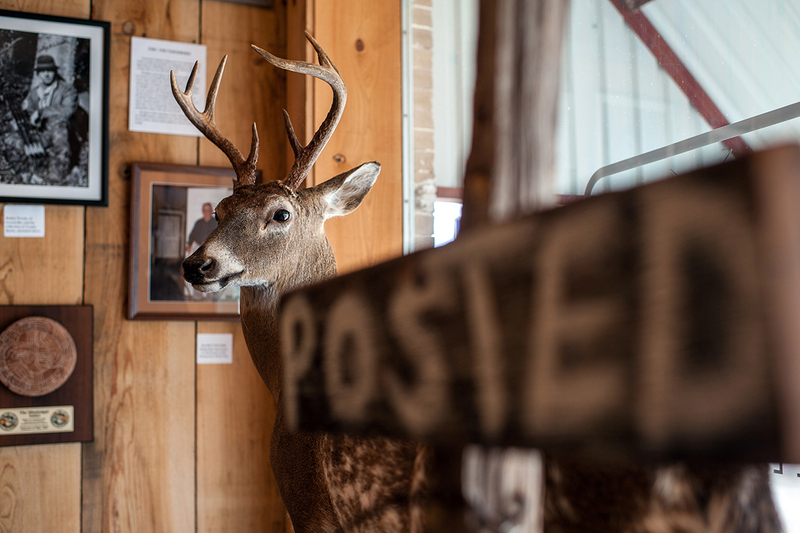 The MS Department of Humanities co-sponsored the HTT Exhibit, which then moved to DSU until December, coordinated by Emily Jones, the Delta State Archivist. 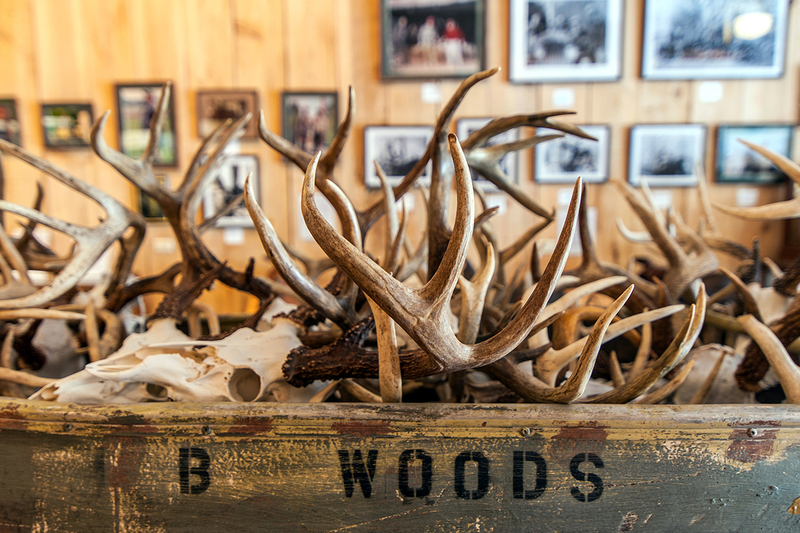 The Wildlife Heritage Museum will now be arranging the exhibits, trophies, pictures, and artifacts during the winter and spring, looking forward to our Grand Opening the first weekend in June 2017. 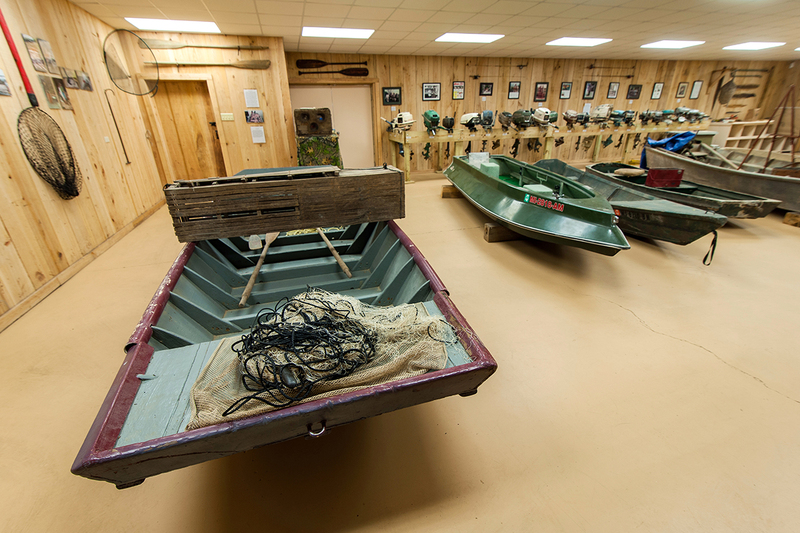 If you are interested in an early tour as the Museum takes shape, call Gaila Oliver (662-820-9555) or Billy Johnson (662-347-4223) Monday thru Friday between 9a & 4p. If you would like to donate funds or articles of interest, use those same numbers. Johnson is the President and Oliver is the Secretary & Treasurer of the MWHM Foundation. Both are authors of popular Outdoor Books which will be available through the Gift Shop at the Museum or on-line.